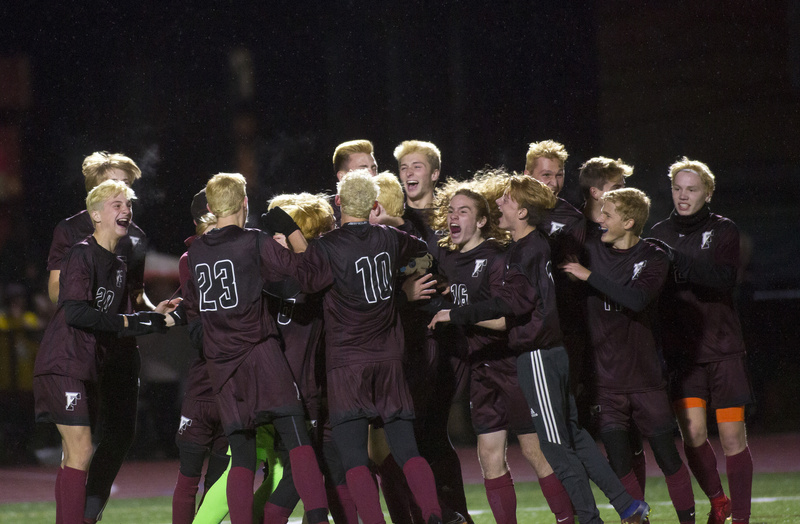 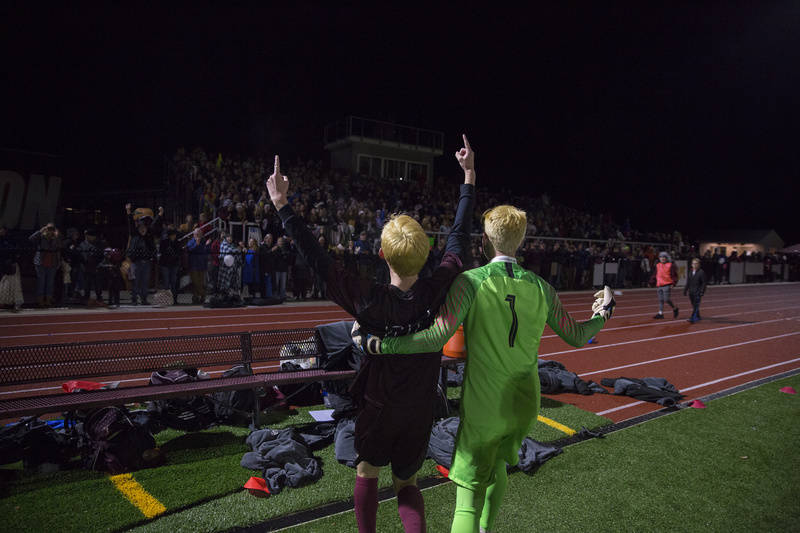 Freeport's Owen Patrick, left, and Atticus Patrick gesture toward their fans and classmates while celebrating their 3-2 win over Cape Elizabeth in the Class B South boys' soccer regional final on Wednesday. 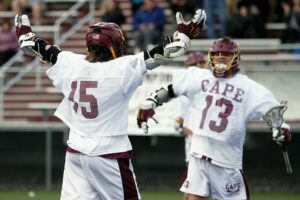 Cape Elizabeth's Killian Lathrop heads the ball away from the sideline during the second half. 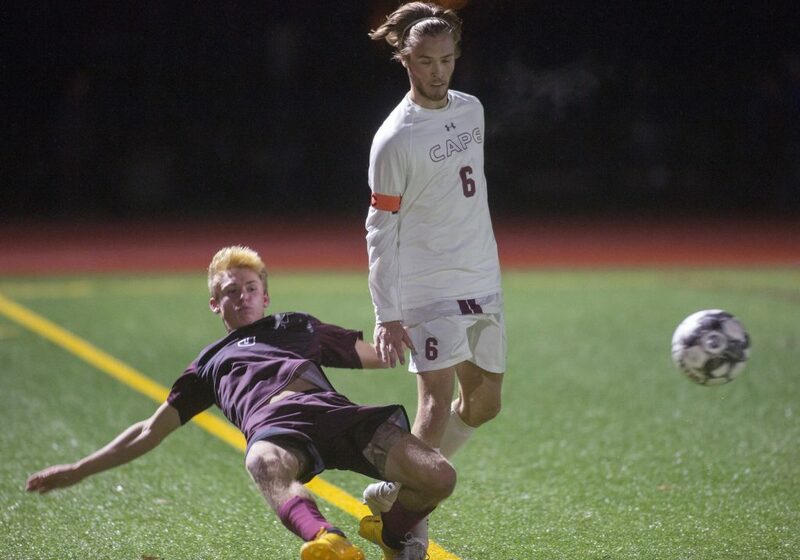 Freeport's Shea Wagner battles for control of the ball with Cape Elizabeth's Nick Aceto. 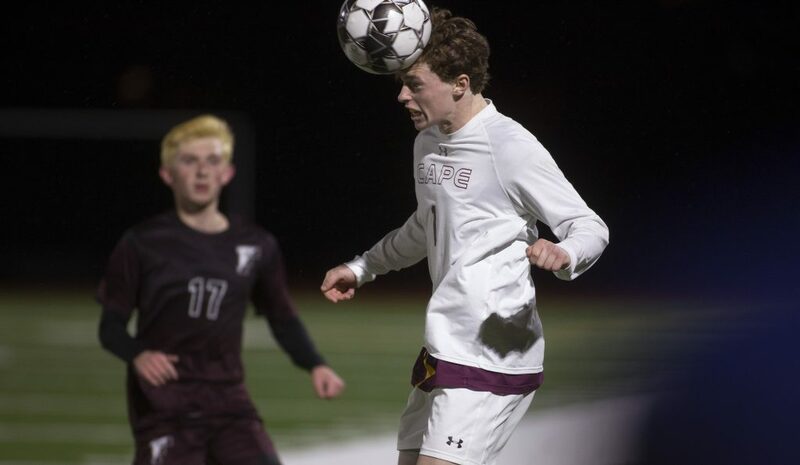 Freeport's Owen Patrick kicks the ball away from the sideline and past Cape Elizabeth's Calvin Stoughton during the second half. 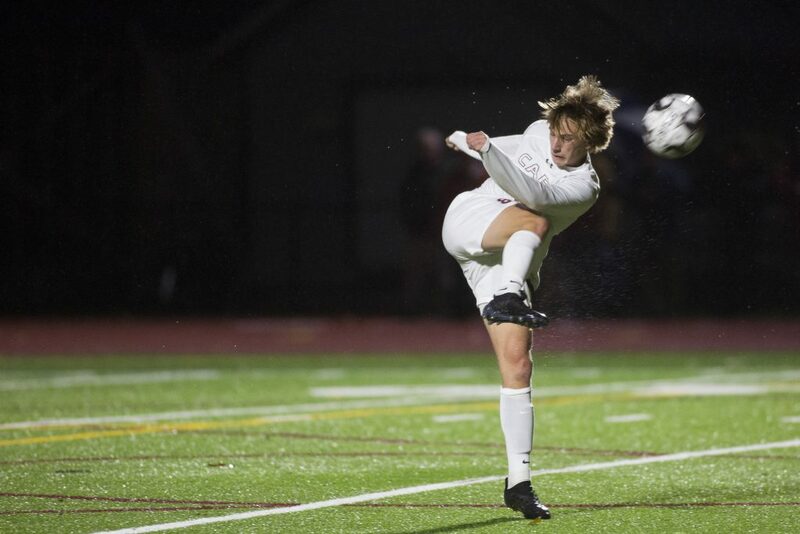 Cape Elizabeth's Archie McEvoy kicks the ball downfield during Wednesday's game. 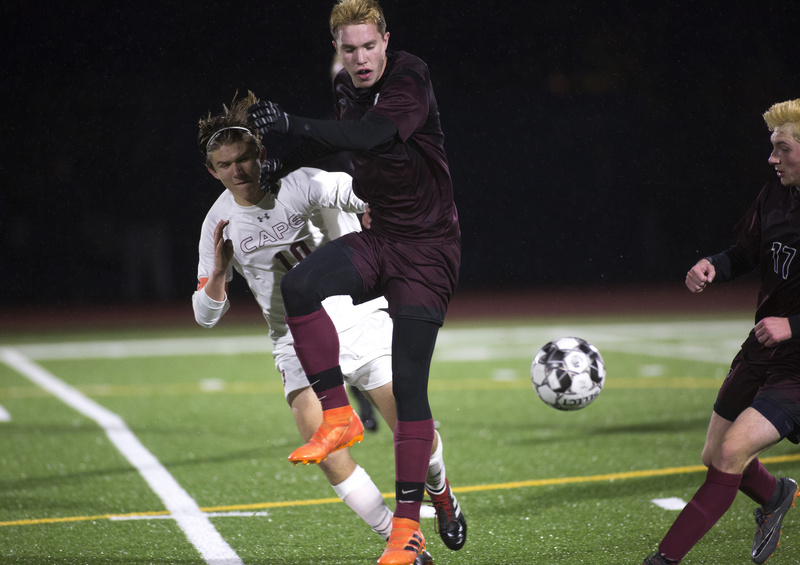 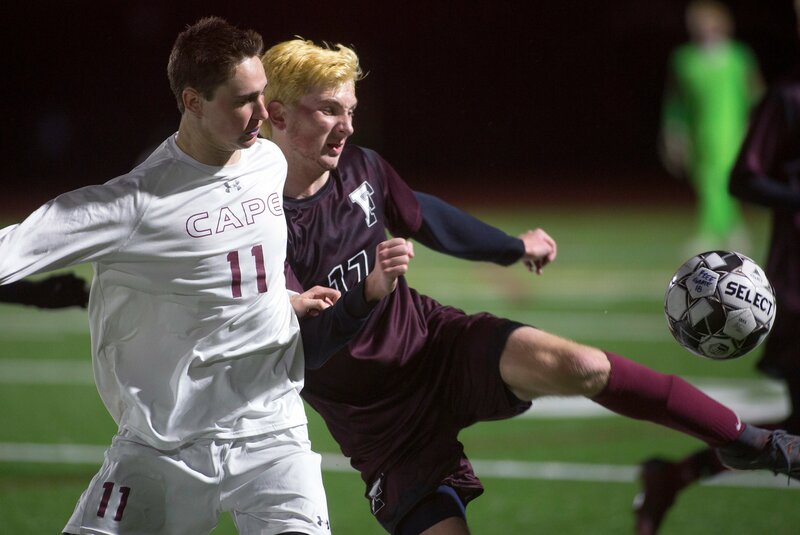 Freeport's Eriksen Shea get knocked down trying to save the ball from going out while battling for possession with Cape Elizabeth's Phillip Tarling in the second half. 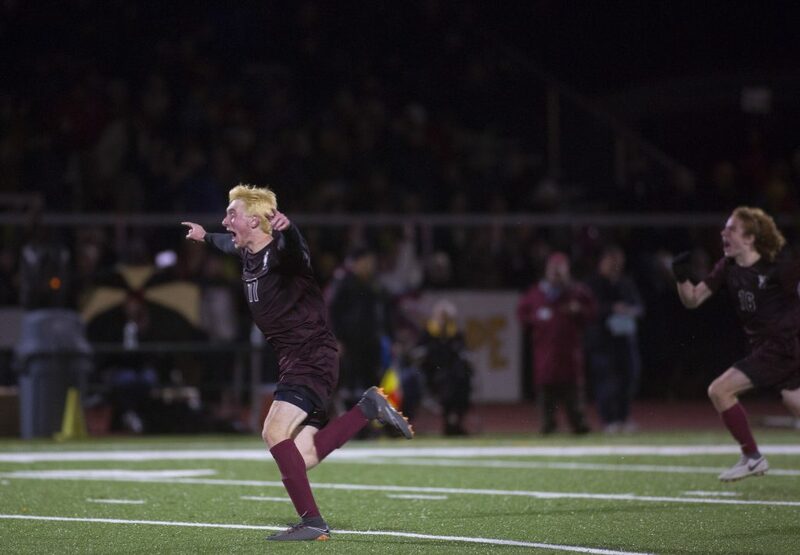 Freeport's Owen Patrick runs toward his teammates celebrating the 3-2 win. Freeport players celebrate seconds after beating Cape Elizabeth 3-2.